After a brief hiatus due to SDCC, our regularly scheduled Thursday Morning Superhero has returned. I am admittedly behind on my pull-list, but will work diligently to catch up. This week also marks the return of Gen Con so I am distracted by learning about what games I am currently missing out on. Keep your eyes peeled for a Gen Con post in the near future. 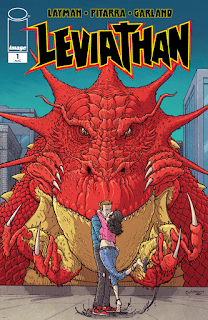 Leviathan #1 - I am probably going to regret this, but John Layman's latest creation is well worth the price of admission. If you aren't on board for college aged students summoning a Kaiju that starts wrecking the place, the scene of Trump (my eyes are still hurting) being informed of the impending threat are worth the admission alone. 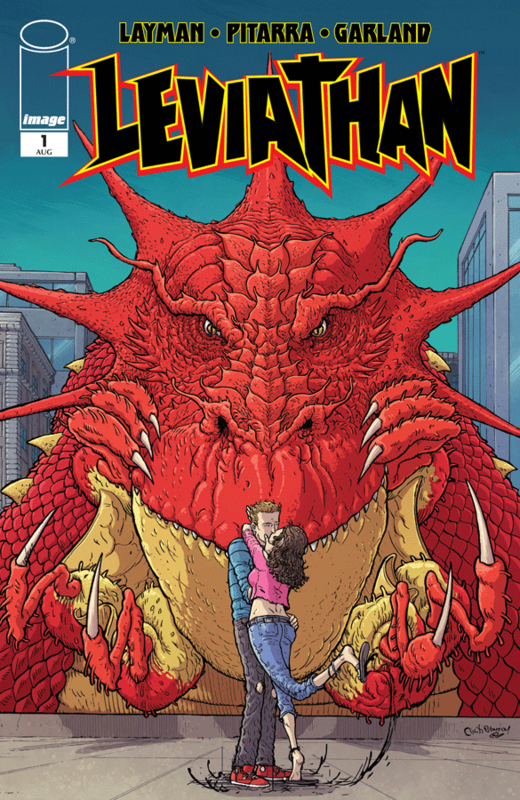 This book had me hooked with Layman penning a modern Kaiju tale, but knowing his take on the current administration and the additional humor that will come with that has me over the top on this book. This is not for the light of heart, but is going to be a book that is sure to entertain. 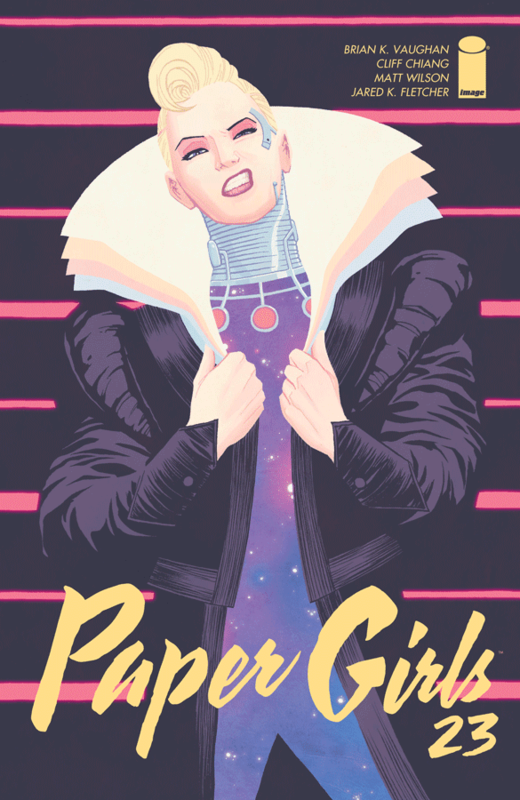 Paper Girls #23 - This remains one of my favorite series, but I think I have reached the point where I need to switch to reading the trades as to reading it issue by issue. Brian K. Vaughan has really woven an impressive tapestry, but due to the time I take off between issues I am not 100% on board with what is happening. I know the girls are trying to escape from the future in which they are currently in, but have lost a bit along the way. This week's issue was exciting and is setting up potential romantic futures and the return to the 80's, but I need to backtrack to remain properly current. I love the twists and turns that have been thrown to us readers along the way, but the time travel and competing factions has left me a bit confused. 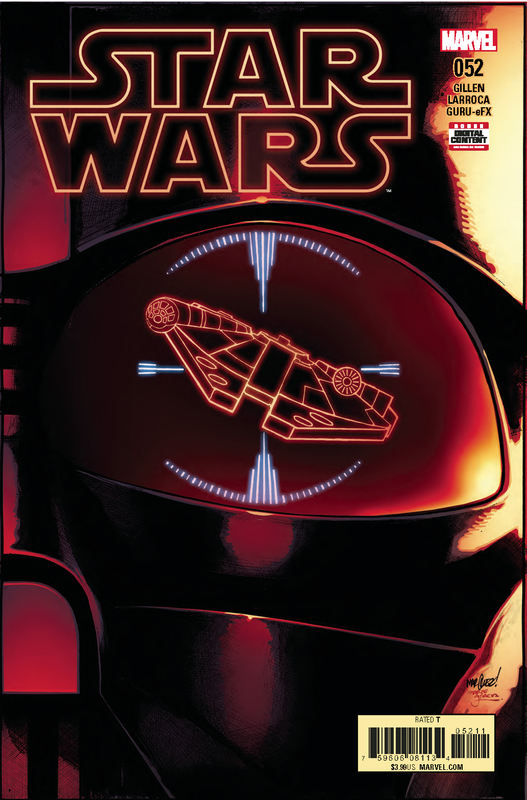 Star Wars #52 - Marvel continues to do an amazing job with the Star Wars franchise and gifted us with an issue that pits Vader and Han Solo in a piloting duel! It features abandoned plans, C-3P0 being forced out in an escape pod, and a desperate message of hope. Scenes like this make me wonder what it might have been like had television and streaming had been as prominent in the early 80's. I feel all of these captivating side stories would have had a home on the small screen and would have been great filler between the films. Lacking that option, I am glad that these stories have found a home in comics and happy that both Dark Horse and Marvel have done a good job with this franchise.